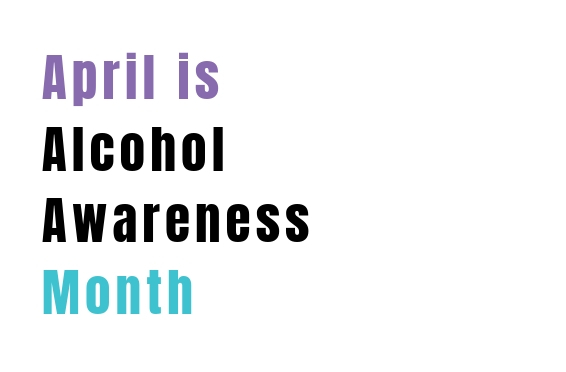 April is Alcohol Awareness Month for 2019! Alcohol Awareness Month is a public health program organized by the National Council of Alcoholism and Drug Dependence (NCADD.) Founded by NCADD in 1987, Alcohol Awareness Month was created for the purpose of helping to reduce and end the stigma associated with alcoholism and alcohol addiction. This is done through numerous avenues and campaigns directed at the American public each April in the form of information about alcohol, alcohol addiction, ways to stay informed about alcohol and offer support for those suffering from alcohol addiction, and recovery from alcoholism and alcohol addiction. Alcoholism, like addiction and substance use disorder, is a chronic and progressive disease that can ultimately be fatal if left untreated. It is estimated by experts that over 20 million individuals and family members are living in recovery from alcoholism and alcohol addiction, but also that nearly 14 million adults in the United States actively suffer from alcohol abuse, alcohol addiction or alcoholism. In addition, several million additional American adults partake in risky alcohol consumption or behavior that could ultimately lead to alcohol addiction. Finally, estimates account that over three million American teenagers, age 14 to 17, have a problem with alcohol. The purpose of Alcohol Awareness Month is to provide an opportunity across the United States to increase awareness of alcoholism and alcohol addiction, break the stigma associated with alcohol addiction, further education and prevention efforts, as well as create and further understanding of alcoholism, it’s causes and genetic components, effective treatment and support, and recovery. The hope is that more individuals and families across America will be more informed about alcohol addiction, decrease associated stigma so that more people can reach out and seek help and access treatment and support services, and ultimately more individuals and families will find recovery. The theme for Alcohol Awareness Month 2019 is “Help for Today, Hope for Tomorrow.” All across America, there will be local, state and national events furthering the mission of NCAD’s Alcohol Awareness Month 2019. Local, state and national agencies, local community, educational and religious institutions, among others, will host a number of different types of educational events meant to raise awareness and understanding about alcohol addiction, with the primary purpose of encouraging those individuals and families that need help for alcohol and alcoholism to get help. If you or someone you know needs help for addiction or co-occurring disorder issues, please give us a call. Maryland Addiction Recovery Center offers the most comprehensive dual diagnosis addiction treatment in the Mid-Atlantic area. If we aren’t the best fit for you or your loved one, we will take the necessary time to work with you to find a treatment center or provider that better fits your needs. Please give us a call at (410) 773-0500 or email our team at info@marylandaddictionrecovery.com. For more information on all of our drug addiction, alcohol addiction and co-occurring disorder services and recovery resources, please visit our web site at www.marylandaddictionrecovery.com.